The first edition was 1905. It was then called Milan-Milan. 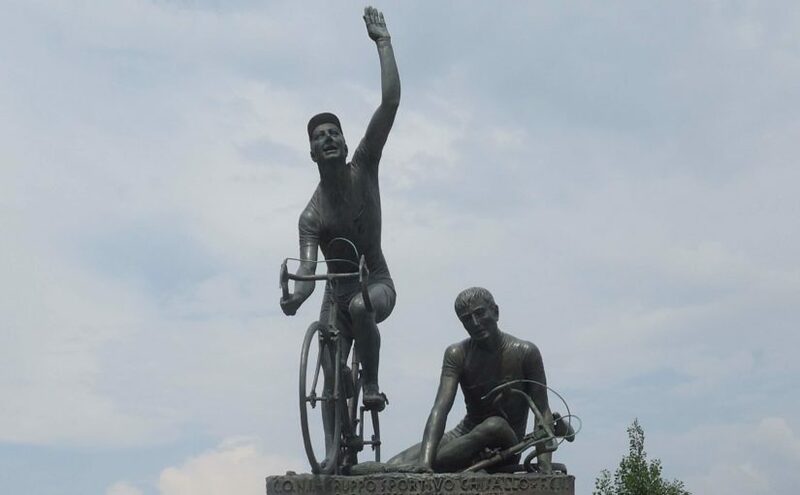 It gained the name “Giro di Lombardia” in 1907. The route has changed many times. Milan, Sesto San Giovanni, Bergamo, Varese, Monza, Como have been start or finish place. In 2004 the race started in Mendrisio in Switzerland, and ended in Como. The most famous obstacle is the Madonna del Ghisallo climb that appears in the latter part of the race. A shrine there has a small museum containing religious and cycling objects. Fausto Coppi won a record five times. Frenchman Henri Pelissier and Irishman Sean Kelly are the only non-Italian riders to win the race three times. The signature climb of the classic is traditionally Madonna del Ghisallo. It has been part of the race since 1919. The climb starts near Bellagio at the shore of the Como Lake, and heads up until the church of Madonna del Ghisallo (754m), the patroness of cyclists. Over the years, it has become indelibly linked with the race and with cycling in general. It was the favourite climb of cycling greatnesses Fausto Coppi and Gino Bartali, who immortalized it. The church also serves as a museum containing religious and cycling-related objects. Lake Como from the top of Muro di Sormano climb. The famous Muro di Sormano climb was included in the route between 1960-1962. World champion Ercole Baldini used a 44×29 in 1960 on the climb. Five-time Tour de France winner Jacques Anquetil used a 42×27. Rik Van Looy was pushed up by spectators. Anquetil was quoted saying it would be impossible to ride up. Monument of Il Lombardia on Madonna del Ghisallo. Madonna del Ghisallo is a hill in Magreglio, close to Lake Como in Italy. It is traditionally Il Lombardia’s signature climb. Some of the cyclists were climbing Muro di Sormano on foot. Muro di Sormano, on foot.